Everything is awesome this week, as we go down familiar territory with a FULL EPISODE treatment of Fresh Pour favorite The LEGO Movie! Geek Girl Chicago herself joins us to talk about this past spring’s surprisingly-great kid’s flick/Danish brick product placement, in which dopey Emmet (Chris Pratt) is dragged into an improbable and genre-savvy adventure to save the many realms of LEGO from the nefarious schemes of Lord Business (Will Ferrell). Along the way, we discuss our personal LEGO experiences, the fast and frenetic style of filmmakers Phil Lord & Christopher Miller, and whether or not the message of the movie even works. Drink along with our amazing custom cocktail and drinking rules! 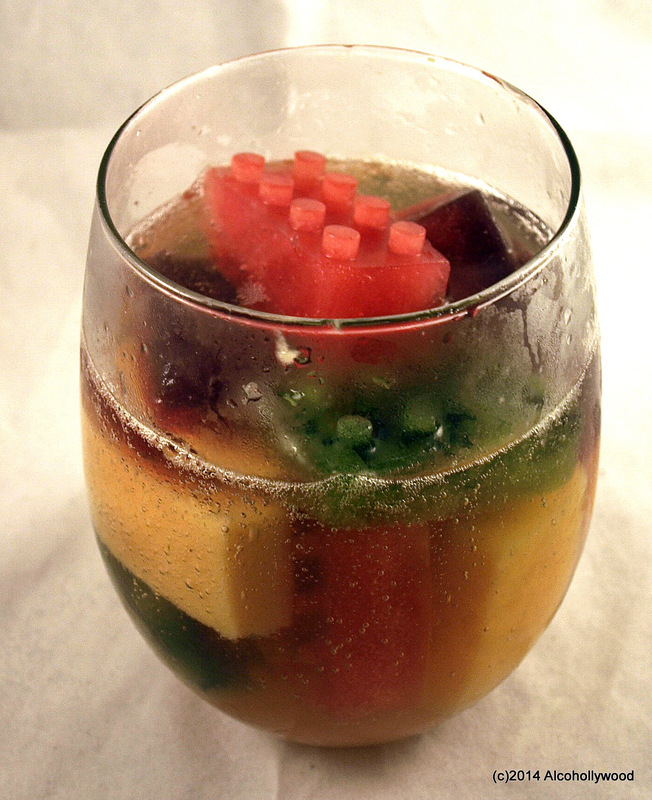 We wanted to pick something suitably fruity, bubbly and all over the place, as befits this movie, so we decided to make a clear sangria with fruit juice cubes that add flavor as they melt. Also, we’ve had a LEGO brick ice mold for years, so we thought this the perfect time to use it! As the ice melts, the drink gets increasingly awesome until it becomes truly Special. 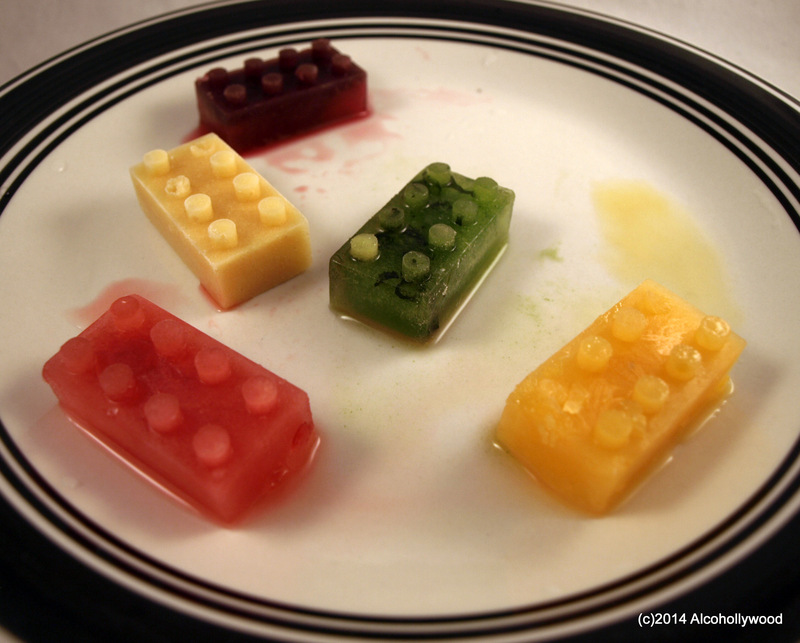 1) Purchase an off-brand LEGO brick silicon ice mold; fill with desired liquids/colors and let freeze for several hours. 2) Fill a wide glass to the top with desired LEGO ice flavors. 3) Pour in Grand Marnier and Pisco, then fill to the brim with sparkling wine. Join us next week as we celebrate our Independence Day by watching Mel Gibson chuck tomahawks at the British – we’re watching The Patriot!